You get an oil light on your dash so what do you do ? Most people just add a little oil to top off the car and make that pesky little light disappear from sight. But what caused that light to come on in the first place ? Is the vehicle burning oil, consuming oil or is there an actual oil leak ? You will not know for sure until you have someone look into the problem and properly diagnose what caused the leak (and how to fix it). 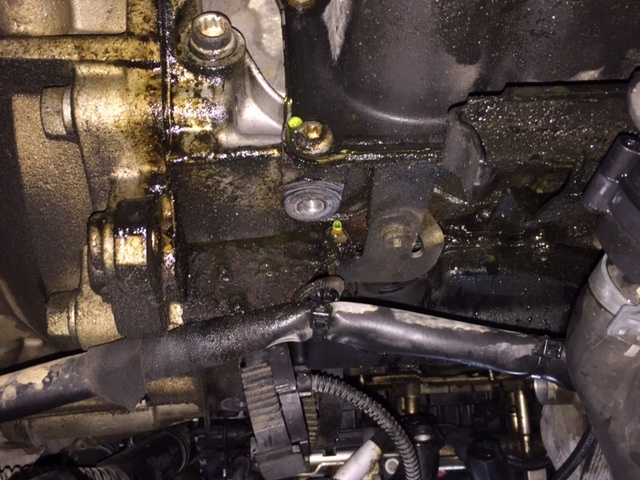 But many just drive on…..
Just ask our Volkswagen customer and you will find out that an oil leak left unattended can lead to much bigger and more expensive problems. 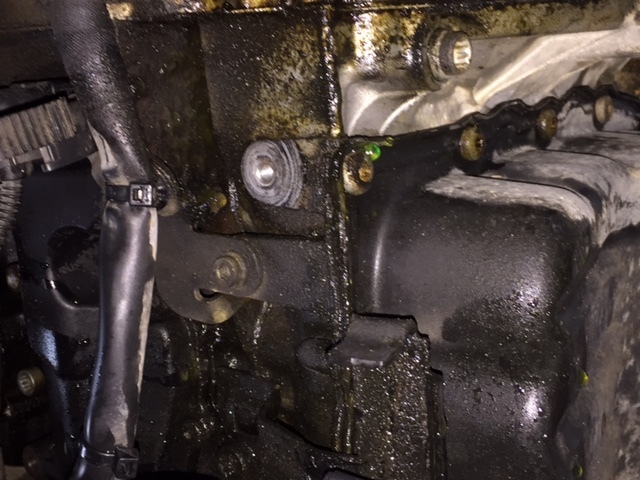 In this particular case, our customer had an oil leak for quite some time. 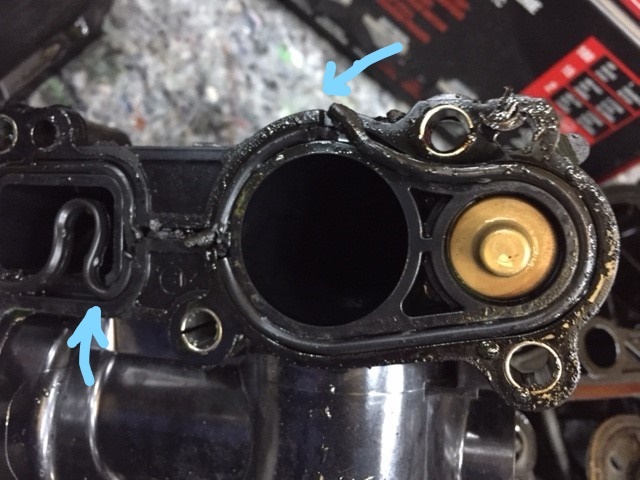 We determined the cause of his oil leak but by the time the repair was scheduled, his water pump also had to replaced because the oil made its way to the water pump and compromised the seal, which led to a coolant leak. Not good because now we have two systems compromised…..engine AND cooling. Preventative measures will always be less expensive than a full blown repair if caught in time and dealt with properly. Das Autohaus is here to guide you through that process.